Help! Need to Password protect a PDF file? "How do I password protect an Adobe PDF file? The software is Adobe Reader. Thanks!" "How do I password protect an Adobe Acrobat PDF document that doesn't let me change the security settings?" A PDF file is a high-quality document that is generally used to distribute platform-independent documents. Actually, as for password protect PDF document, it's not possible to password protect in Adobe Reader. If you insist in going about password protecting a document, you would need Acrobat. Adobe Acrobat enables you to password-protect your PDF documents so that other users do not have access to them. Just follow the instruction as below to password protect an Adobe PDF file. Then you can set your personal and sensitive information just available for either yourself or specified people. How to Password Protect an Adobe PDF Document? It's specially the detailed instruction on encrypting an Adobe Acrobat PDF file. At the very beginning of this password-protect procedure, make sure you have the copy of Adobe Acrobat Pro since the free trial versions are available that expire in 30 days. 1. Open the PDF file in Acrobat. Click the "Security" menu located on the tasks button bar. Click "Encrypt with a password" and click "Yes" on the confirmation dialog box to launch the Password Security Settings dialog box. 2. Select "Acrobat 7.0 and later" in the "compatibility" box and select the portions of the PDF file that you want to password protect. Select the "Encrypt all document contents" if you want to password protect the entire document. 3. Click the "Require a password to open document" check-box. When you select this option, only the people with the password will be able to open the PDF file. Type the password that you want to use. 4. Click the "Restrict editing and printing of the document" check-box in the picture above if you do not want readers to make changes to your PDF file or print it. Type the password that you want to use. If you want to allow certain printing and editing options, select them in the "Printing allowed" and "Change allowed" box. 5. Uncheck the "Enable copying of text, images, and other content" check-box if you want to restrict this feature. Click "OK" to save the changes. Your PDF file is now password protected. Thus you have successfully finished the conversion for password protecting an Adobe document. Added Info: How to Reset the Forgotten Password Protect a PDF Document? It happens a lot that you forgot the password which protects your PDF file. Once if you are in this case, don't worry, you are not out of luck. 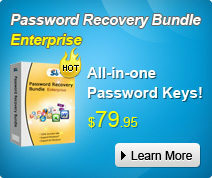 PDF Password Recovery can help you solve the problem with only a few clicks. 1. 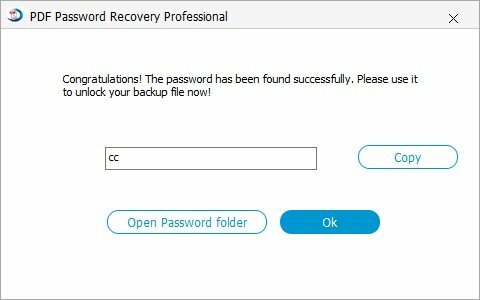 Open PDF Password Recovery. Click "Open" to import the encrypted PDF file on your PC. 2. Choose a type of attack from 3 options to decrypt the PDF file. As for the detailed information on how to choose the most appropriate attack type, click to see how to deploy password settings. 3. Start to reset Adobe PDF password by clicking "Start". After introducing the information about password protecting a PDF file, you can have a good command of your PDF.